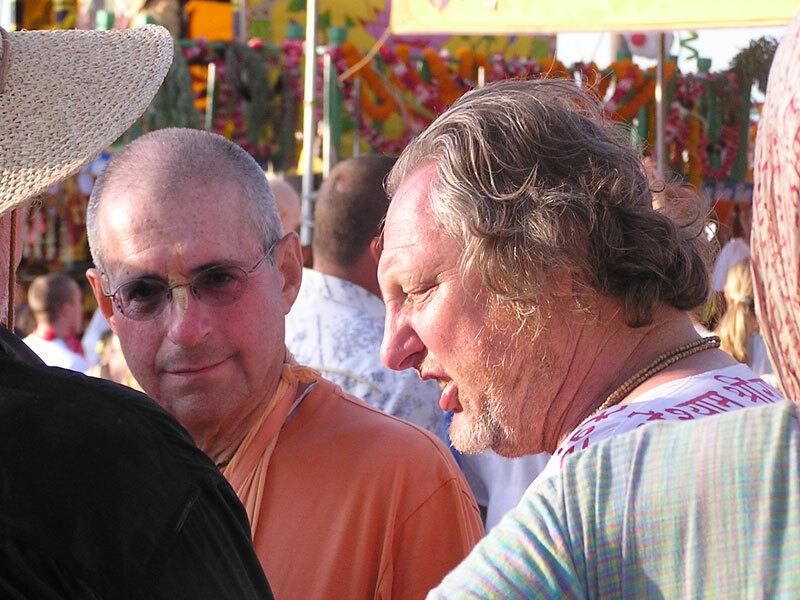 The 2008 ISKCON Los Angeles Ratha-yatra, Festival of the Chariots. The 32nd Annual Festival of the Chariots rolled into Venice Beach, California, last Sunday, August 3, 2008. 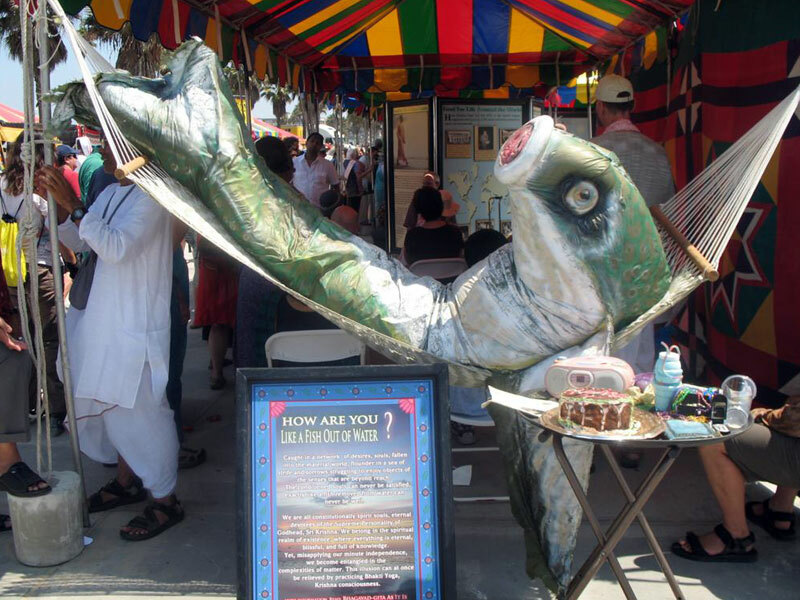 The festival, organized by the ISKCON devotees in Los Angeles, began at 10 a.m. at the Santa Monica Civic Auditorium and proceeded with three fully decorated, four-storey-high chariots leading a colorful parade toward the Ocean Front Walk Plaza at Venice Beach. 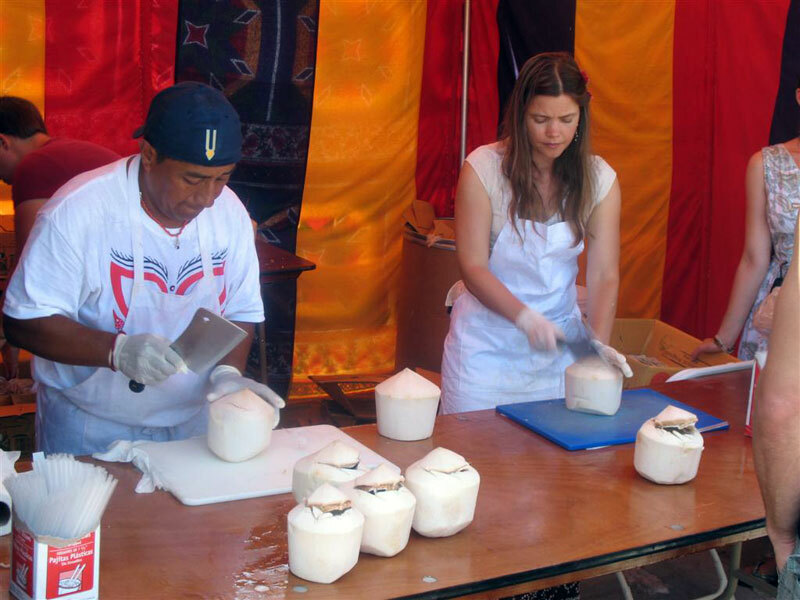 Hundreds of devotees converged from all over the world to take part in this festival. His Holiness Giriraj Swami, with a group of devotees, also attended. In his party were two visiting devotees from Johannesburg, South Africa: Nanda Kishore Prabhu and his wife Kandarpa Manjari dasi. 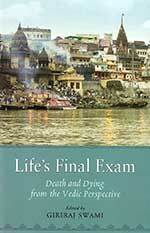 They had come to assist Giriraj Swami Maharaja in the U.S. for a few weeks. Maharaja approached the beautifully decorated canopied chariots and offered his obeisances to Their Lordships Sri Sri Jagannatha, Baladeva, and Subhadra, and the pujari on the chariot offered him some maha-prasada. The chariots were originally engineered in 1976, thirty-two years ago, by His Grace Jayananda dasa, the father of the Festival of the Chariots in America, to be facsimiles of the ancient festival chariots. 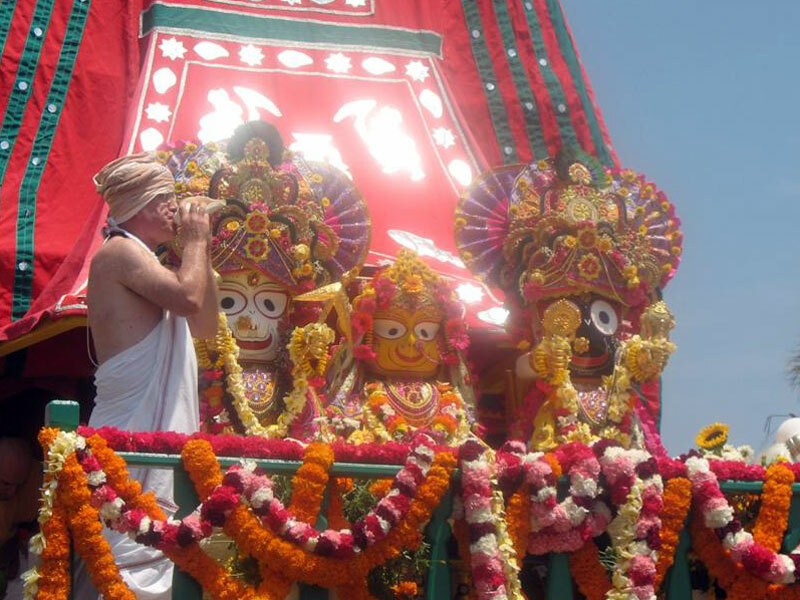 In a lecture on the occasion of Lord Jagannatha’s Snana-yatra, Giriraj Swami remarked that according to the Skanda Purana, the original history of the Jagannatha Deities goes back about 153 million years. 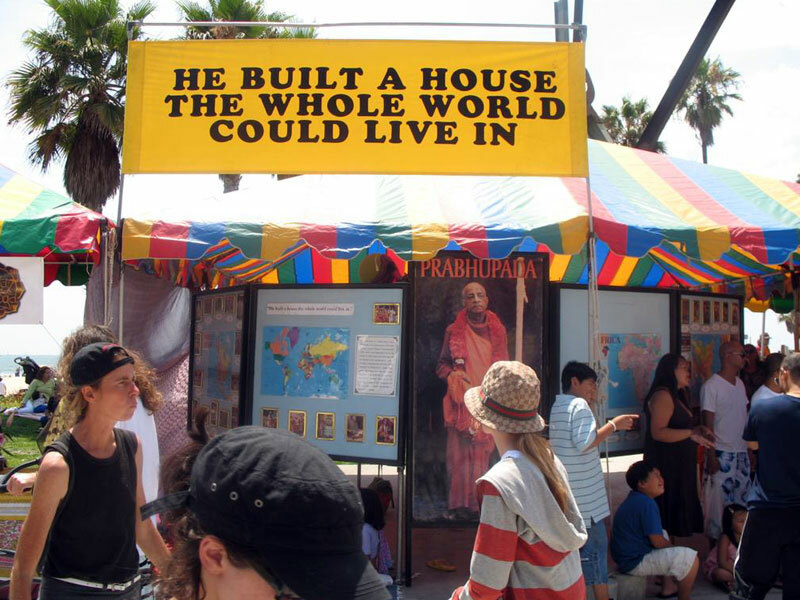 Since this was an all-day event, with clear blue skies and pleasant temperatures, Maharaja decided to take his japa walk along Venice Beach, moving north from the festival site. He walked briskly for a few miles, reaching the Santa Monica pier and finally resting at the world-famous Palisades Park, a long strip that runs along the bluff above the Pacific Coast Highway, with views of Venice Beach, Santa Monica Pier, the Palisades, and the mountains of Malibu. 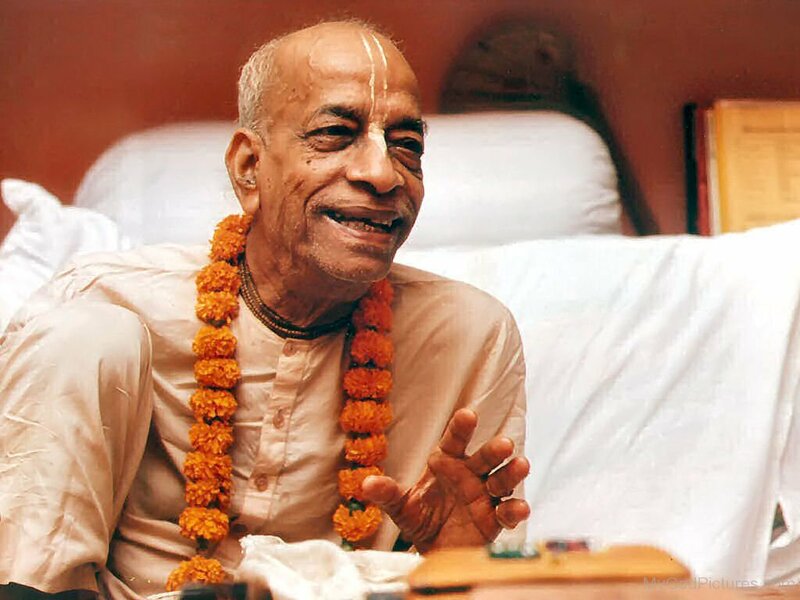 His Divine Grace A.C. Bhaktivedanta Swami Prabhupada often walked along Venice Beach and in the Palisades Park. Several smiling bystanders greeted us with a loud “Hare Krsna!” and a few beachgoers inquired about the chariot festival. 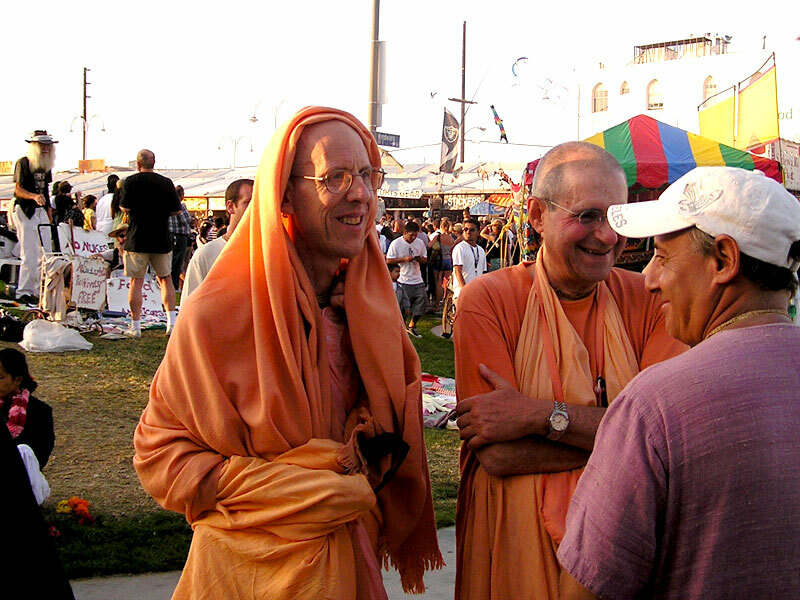 A young Indian man stopped and took a photo of Giriraj Swami walking near the Santa Monica Pier. Not wanting to be away for too long, we hopped on the city Metro bus and headed back to the festival site. 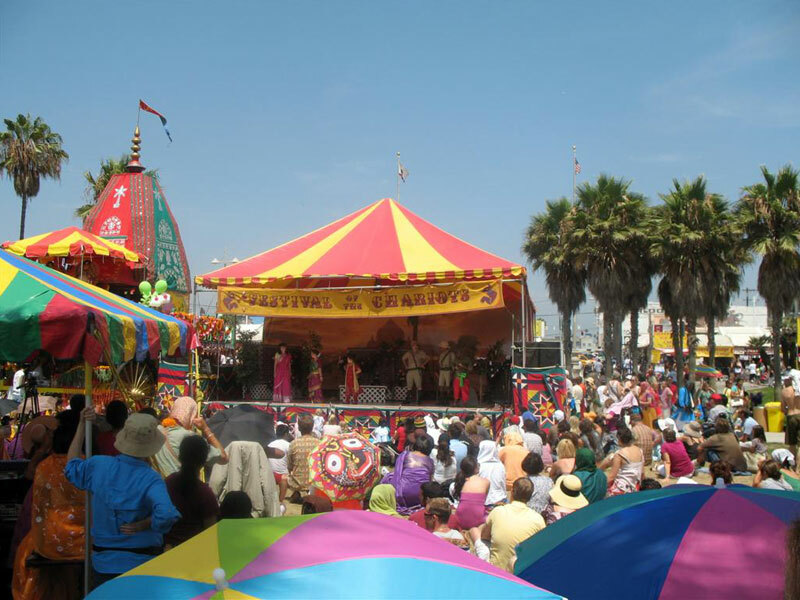 In addition to the chariot parade, the festival included three stages of live entertainment, featuring Indian dance performances, a drama on the life of Ajamila performed by ISKCON Los Angeles devotees, a rock band, and a few bhajana groups from both the ISKCON community and outside. The Temple Bhajana Band entertained the crowd with sweet Hare Krishna kirtanas; Viji Prakash and her Shakti Dance Company showcased a beautiful Bharata-natyam dance on the great epic Mahabharata; and renowned ISKCON Bharata-natyam dancer Anapayini Devi dasi and her students also performed a wonderful rendition of Krsna’s pastimes, featuring Krsna and His dances with the gopis. Their performance was full of flair and grace and kept the audience enthralled. Maharaja took notice of one of the stage highlights, the performance by the As Kindred Spirits bhajana group, featuring the voice and harmonium of Gaura Vani, and the rhythms and melodies of multi-instrumentalist Shyam Kishore, along with a multicultural group of talented musicians, dancers and performers. These ISKCON gurukulis engulfed the area in an ecstatic wave of Krsna kirtana, joyfully chanting the holy names of Krsna and dancing blissfully. During the festival Maharaja met a lot of his old friends and godbrothers and -sisters, including HH Jayadvaita Swami, HH Bhaktisiddhanta Swami, HG Gurudasa Prabhu, and HG Ramesvara Prabhu, who spent a good amount of time with Maharaja. The festival ended about six, but Maharaja stayed at the site until about eight. And in order to have more time with his godbrother, Maharaja rode in the car with Ramesvara Prabhu back to his place. Later, Maharaja continued to talk about the beautiful kirtanas that he had heard and the devotees whom he met that day. Jaya Jagannatha! 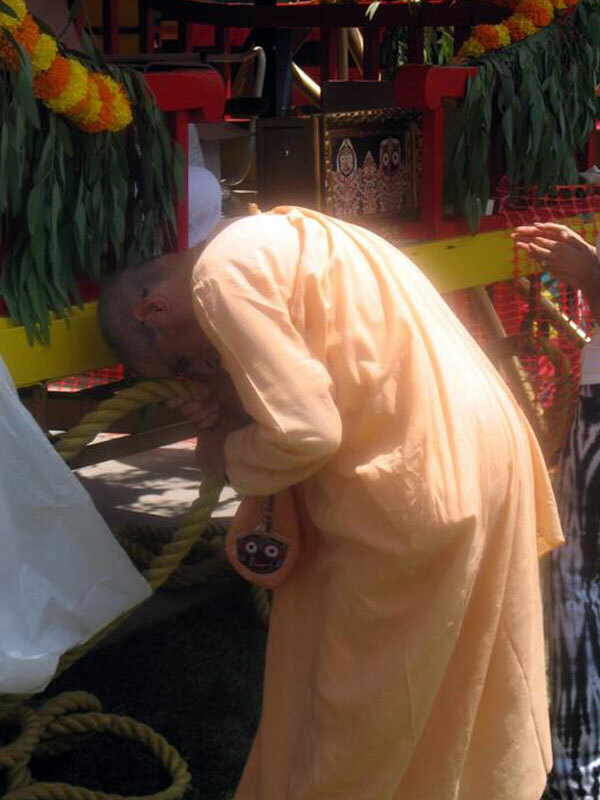 ISKCON Los Angeles Ratha-yatra ki jaya!